LOS MACHUCOS: After the time-trial that has further crowned Chris Froome’s dominant role, the 17th stage of #VueltaEspana, 180km long, will start from Villadiego to Los Machucos. There are 5 stages missing at the end but these 4 can be decisive. Once again is time for the “squalo dello stretto”, Vincenzo Nibali, to attack the British as his gap is now 1′: 58″. 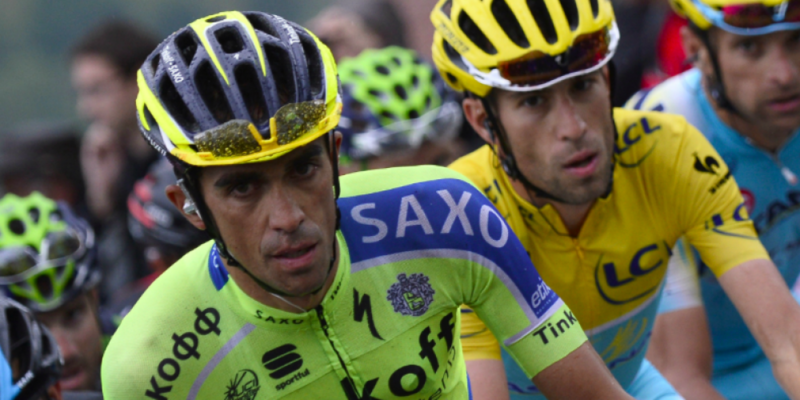 In today stage there are many potential winner, the most important of these is called Alberto Contador. The one from Madrid, being at his last Gran Tour in his career, does not want to spend next 5 days in anonymity. Everyone remembers his attacks to Purito Rodriguez, which allowed him to conquer his 3rd Vuelta in 2012. Vincenzo therefore can entrust to an important ally who is synonymous with courage, skills, and grit that after a bad start found his best condition. A perfect duo because even the Sicilian does not lack of grit and, in addition of being an excellent climber, he is also one of the best downhill rider in the world. This could be an additional skill for the award-winning Nibali-Contador company. A big doubt is to understand how much the two riders will want to risk but missing the podium will not change the result of their extraordinary careers. In the race they can also find occasional allies such as Wilco Kelderman or Ilnur Zakarin and in the next stages there are much more challenging climbs where the formidable SKY team may not be so compact. The first part of today stage will be without any special problems, but after the half race will come the heavy half with a total of 3,000 meters in altitude. It starts at km 107 with the KOM of Portillo de Lunada, 8.3 km to 5.7% average slope. A second category climb, which will be followed at km 162 by the Puerto de Alisas, first class KOM arriving after 10 km of climb to 6%. To reach the finish line, however, the Alto de los Machucos, 7.2 km up to 8.7%, the Especial category with two points, respectively, touching 26 and 25% respectively.